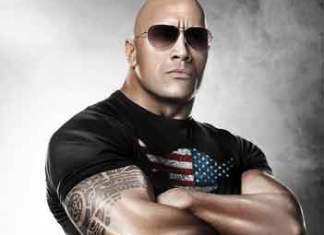 Bicep curls are the staple of the arm circuit because they are a compound lift. This means that bicep curls work all areas of the bicep muscle. 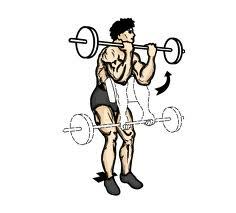 Also known as straight bar curls, they extend to working the shoulders and triceps, as well. This exercise is also known as dumbbell curls, kettlebell curls or barbell curls, if you are using the appropriate weights. Face forward with dumbbells, kettlebells, or barbells resting at your side, elbows down. Raise one weight, while inhaling, and rotate your forearm towards your body. Exhale, and lower the weight back down slowly to starting position. Alternate by raising the remaining weight, while inhaling again. This video shows you how to do seated bicep curls. When your sitting down, it helps isolate your biceps. It’s also harder to ‘swing’ them using your back. This helps you maintain proper form. Here’s a video showing EZ Bar Bicep Curls. This exercise takes a lot of strain off the wrist. That’s why it’s often done after the barbell bicep curls. This video illustrates Preacher Bicep Curls. Here, you’re on a preacher bench that sets your range of motion to work the lower bicep. Keep the weight low, and the reps high, because your tendon is prone on this exercise. Lee Hayward, in this video, shows you how to do the Machine Bicep Curl. He ends his arm workouts with 100 reps of the machine bicep curl. Lee does 5 x20 with light weight, to finish his routine. Resistance Band Bicep Curls are great, because you can do them anywhere. You can step on resistance bands, to give yourself resistance. With a barbell, use a narrow grip with low reps to work the bulkier, closer section of your biceps. With a barbell, use a wide grip with high reps, if you are going for definition and toning. Instead of rotating your forearm, you can raise it perpendicular to the floor. This will turn it into a hammer curl. The Mark Wahlberg workout uses seated and standing versions of this exercise, as well as, cable bicep curls. The Albert Pujols workout uses the standing version with dumbbells. This helps his baseball swing, as he makes contact with the ball. The Joe Manganiello workout does bicep curls in between chest exercises. His trainer is always trying to work different muscle groups at the same time. The Kim Kardashian workout uses bicep curls to work her arms. This helps to make her upper body larger, and waistline smaller by comparison. The Lady Gaga workout uses bicep curls during her upper body workouts. She does bicep curls, then transitions right into shoulder press. The Halle Berry Workout uses curl presses. Here, you do the standard bicep curl. Then, you raise them above your head and press them up to the sky. Bring your arms back down in reverse order and repeat. The Marisa Miller workout, Candice Swanepoel workout, and Miranda Kerr workout all use resistance band bicep curls. Resistance bands allow you to tone your arms, no matter where you’re traveling. This is great for Victoria’s secret models. The Jessica Alba Workout uses bicep curls, mixed in with cardio circuits, as part of her 40-minute 3-2-1 workouts. The Leonardo DiCaprio workout uses straight bar curls, to get those guns for The Departed and Gangs of New York. The Mario Lopez workout uses Bicep curls. He likes to do them “Zottman curls” style. This means you rotate your palms 180 degrees on the way down. The Jay-Z workout, and the Beyonce workout, both use this exercise in combination with the Shoulder Press. He calls this the Bicep Curls into Shoulder Press. Curl the dumbbells up to the chest, then press up above your chest. Keep your movement fluid and smooth from the first step through the last. Also, you can get your hips and knees involved in this exercise. On an incline bench, perform your normal routine. In addition, raise your legs until they’re tucked into your body. Lower your legs as you lower the dumbbells. Know anyone who could benefit from the Bicep Curls Exercise?